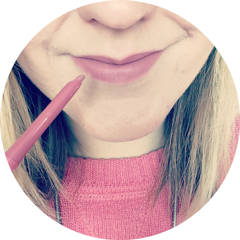 After reading a few posts recently on makeup expiration dates, including one by the brilliant Meg at Lips so Facto, it got me thinking and I decided that my makeup stash needed a bit of a sort out! Plus it's something I've never thought about particularly until recently, so I thought it would be a great topic to share! There doesn't seem to be any official guidelines about when you should throw away makeup, but there a lot of recommended time periods online, all of which vary slightly. A lot of products these days state on the packaging how long the product will last for once it's been opened but do you always take notice of this? I know I don't! Of course you can use makeup past the recommended time period, I know I have, but it may not work as effectively and at worst, could be carrying bacteria that will give you some sort of infection. I think you just have to be sensible - if it smells funny, looks different or unusual or has changed in texture then definitely throw it away! Have you health checked your makeup recently? I have nail varnishes that are well older than 2 years which I still use. They still go on smooth and aren't tacky. I don't have to worry about eyeliners or mascaras they never last longer than 6 months as I use them every day. I never really think about the rest to be honest, I know I need to wash my brushes more often though! I definitely need to go through my stash and chuck some stuff! I have things I have no idea when I bought them too - I really need to go through mine - chances are if I don't remember buying it, it needs chucking - thanks for the reminder!